Ceri has updated the Incoming page, which lists hundreds of forthcoming titles that we feel will be of interest to the people that visit this site. It's not meant to be definitive - it's deliberately skewed to cult film and TV releases, and peppered with the odd blockbuster, to help you plan your DVD purchases. There are dozens of new titles listed in today's update, including sitcoms old and new, some BBC drama series, and a handful of US TV classics. The fifth season of Charmed will be released on DVD by Paramount Home Entertainment on March the 6th. The fifth season saw a number of changes to the show, including several changes to the show's regular cast line-up, and an increased emphasis on fantasy elements. Guests included Jaime Pressley, currently featuring in the funny Channel 4 sitcom My Name Is Earl, as a distressed mermaid, in the two-part season opener, A Witch's Tale, and Young Indiana Jones' Sean Patrick Flanery. The twenty-three episodes will be presented on six discs, in 4:3 format, with Dolby Digital 2.0 audio. The RRP is £59.99. Sanctuary Visual Entertainment will release The Man In Black: A Documentary on May the 1st: a profile of country music legend Johnny Cash. The documentary, which coincides with the theatrical release of acclaimed Cash biopic Walk The Line, covers John's entire life, from his formative years growing up in Arkansas, through the ups and downs of his extraordinary career, to his death, in 2003. The seventy-five minute documentary will be offered in 16:9 format, as a Region 0 release, on a DVD-5. Bonus features include featurettes Origins of Country (8m) and The Fifties (16m). The RRP is £15.99. Serenity fans may like to know that a free six-minute video podcast of an exclusive Joss Whedon interview will be available from the iTunes Music Store from today - try this link. Serenity is released on DVD here next week. A number of 50s Hammer thrillers will be released soon, by American label VCI Entertainment (purveyor of a number of surprisingly well-presented cult titles, including Gorgo, Blood and Black Lace and The Whip and the Body). These include a number of films directed by Hammer's most celebrated director, Terence Fisher. Anchor Bay's US division has announced a release date and specifications for its DVD of The Anniversary. Full details are available on the index page of the Hammer DVD Guide. BBC Audiobooks has formerly announced their March 6th releases, which include three titles being featured in Richard and Judy's Book Club. 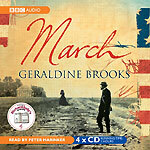 Geraldine Brooks' March will be offered as an abridged reading spread across four discs, with an RRP of £17.99. The book, a spin-off from Little Women, about the girls' absentee father, John March, takes some of its inspiration from Louisa May Alcott's real-life father, an animal rights and anti-slavery advocate. The book will be read by Peter Marinker. 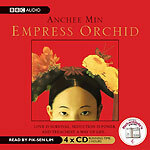 Empress Orchid: Anchee Min's story about a lowly concubine with aspirations to climb the social ladder, will be presented on four CDs, with an RRP of £17.99. This book, from the author of Wild Swans and Memoirs of a Geisha, is read by Pik-Sen Lim, who some of you might remember from the Jon Pertwee Doctor Who story The Mind of Evil. Andrew Smith's Moondust profiles the handful of men that have set foot on the Moon's surface (only nine of them are still alive). 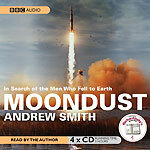 The abridged audiobook will be read by the author, and presented on five discs, with an RRP of £17.99. These three Richard and Judy's Book Club titles will be released on March the 6th. The second volume of the latest This Sceptered Isle series, Empire, will be released on March the 13th. The six-disc set covers the years 1783-1876, when Britain boasted the biggest empire the world has ever known, spanning a quarter of the globe's land mass. The set, which is narrated by Juliet Stevenson, with additional contributions from Denis Lawson, Christopher Eccleston, Hugo Speer, Jemma Redgrave, Vincent Ebrahim, David Yip and Ben Onwukee, will have an RRP of £25. 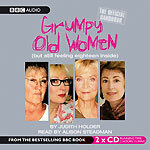 Series producer and stand-up comic Judith Holder has written the official handbook for Grumpy Old Women, which arrives in audiobook form on March the 6th. The two-disc set is read by Alison Steadman, and incorporates material from the latest series of Grumpy Old Women, which features celebrities like Janet Street Porter, Jilly Cooper and Jenny Eclair. The RRP is £12.99. 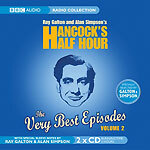 Vintage comedy fans have not been forgotten: four more episodes chosen by writers Ray Galton and Alan Simpson will be included on Hancock's Half Hour - The Very Best Episodes: Volume 2, which is released on March the 6th, with an RRP of £12.99. The two-disc set features new sleeve notes by 'the Boys', and the episodes The Conjurer, Cyrano de Hancock, The Diary and The Impersonator.